Conceptualism and anthropology meet the strength of a natural material, sandstone, worked by the skilful hand of man. Nick Ross is a Scottish designer who currently lives and works in Stockholm. He studied product design at the Gray’s School of Art in Aberdeen, where he graduated in 2004, and went on to complete his studies in 2013 with a master’s degree in interior architecture and furniture design from Konstfack in Stockholm. He opened his studio in 2014, focusing his research on ancient history, considering how historical interpretations alter our current perception of objects. Using storytelling as a pretext and always applying a deeply critical approach, Ross is mainly interested in investigating facts and events underlying specific cultural movements: his projects, halfway between design, anthropology and historical narration, are motivated by the desire to create bridges between today’s society and the past. Dunedin Stone is a Scottish company that supplies natural stone for architecture and design. 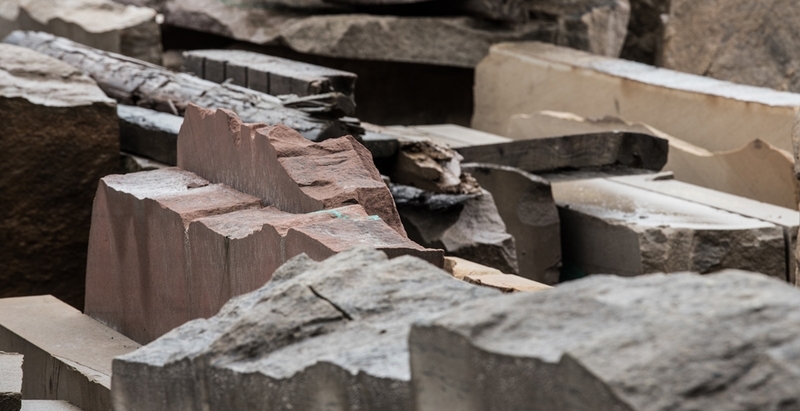 Numerous architects, designers and clients visit the Edinburgh factory to choose from its wide range of natural sandstone, which comes from different quarries throughout the United Kingdom and beyond. The company employs highly skilled artisans with vast experience in all techniques of working stone, and often undertakes projects in design and interior decoration for residential homes. From the company’s encounter with Nick Ross comes the Last of the Free collection. Full of meaning and expression, it results from the almost primordial know- how of the man the maker.